So here is finally what it looks like loaded into the map software. 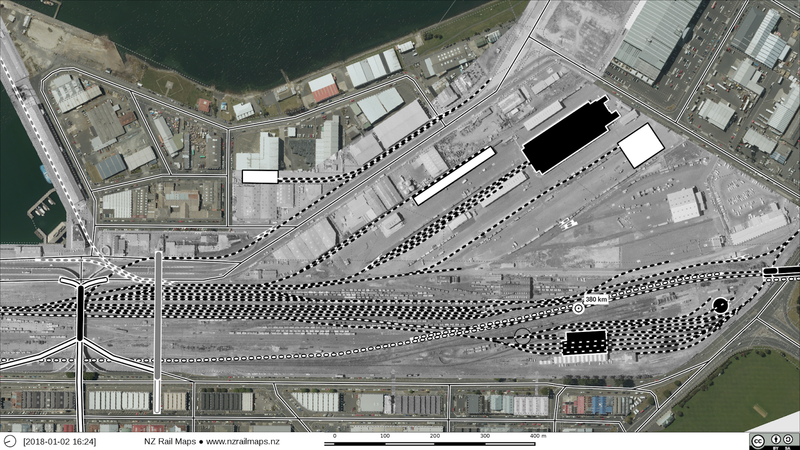 All the detail was actually drawn from the current maps, so this is really a good starting point to appreciate how much has changed in 40 years in Dunedin. I have decided given the existence of significantly earlier coverage that I won't do maps anywhere else between Port and Mosgiel and on this map Andersons Bay Road is the limit even though the aerials go a little further. Coverage of the entire area will wait until older is available - 1940s, 1950s or maybe 1960s - we shall have to see. But the mapping of this 1978 coverage will begin straight away.